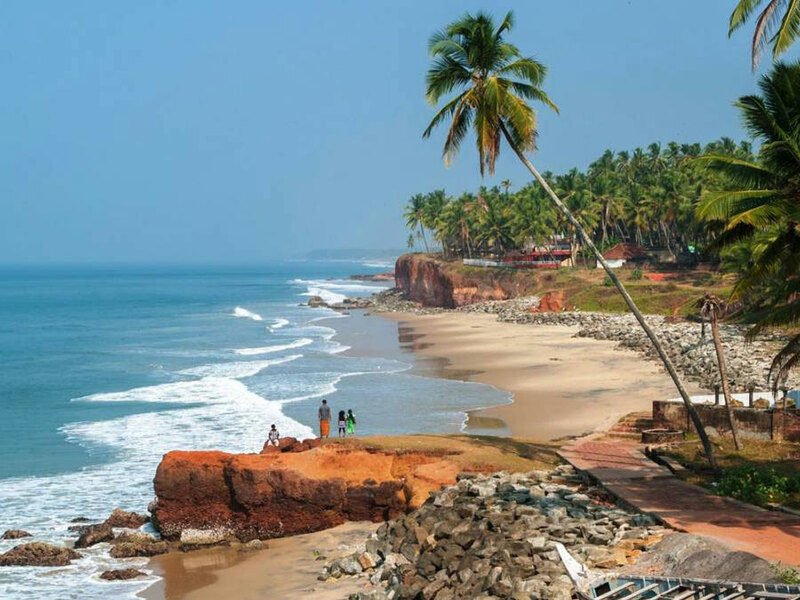 Welcome to India, You will be received by our "Times India Travels" representative or your driver at international airport and assisted to your hotel. In the Hotel the representative / driver will hand over your documents regarding the tour, Overnight stay at Mumbai hotel. After breakfast takes a sightseeing tour of Bombay, drive to Gateway of India and from here cruise by motorboats to Elephanta Caves. A flight of 100 steps takes you to the top of the hill where it is set. The caves houses large pillars that seem to hold the ceiling which is made of cross beams. The picturesque presentations of the 9 marvelous sculptured panels, set on the walls are awe-inspiring. The most famous of the panels is the Trimurthi, or triple-headed Shiva, where the God is depicted as the destroyer, the preserver and the creator. Later in the afternoon cruise back to Gateway of India, one can have lunch at the Taj Hotel or other several good Restaurants like Leopold & Mondegar serving continental cuisine's. Later visit Prince of Wales Museum, Parliament House, Marine Drive, Jain Temple, Hanging Gardens, Overnight stay at Mumbai hotel. Note: Elephanta Caves & Prince of Wales Museum are closed on every Monday. Morning transfer to the railway-station to board the train # 7617 Tapovan Exp dep at 06:10 hrs and arr at 13:15 hrs. On arrival transfer to the hotel. Later visit the Aurangabad Caves, excavated between the 2nd and 6th century AD, they reflect tantric influences in their iconography and architectural designs. Also visit and Daulatabad Fort, this magnificent 12th century fortress stands on a hill just 13 kms. from Aurangabad. One of the world's best preserved fort of medieval times, surviving virtually unaltered, Daulatabad yet displays the character that made it invincible. Overnight stay at Aurangabad hotel. After breakfast take an excursion of 105 kms to witness famous Ajanta caves. 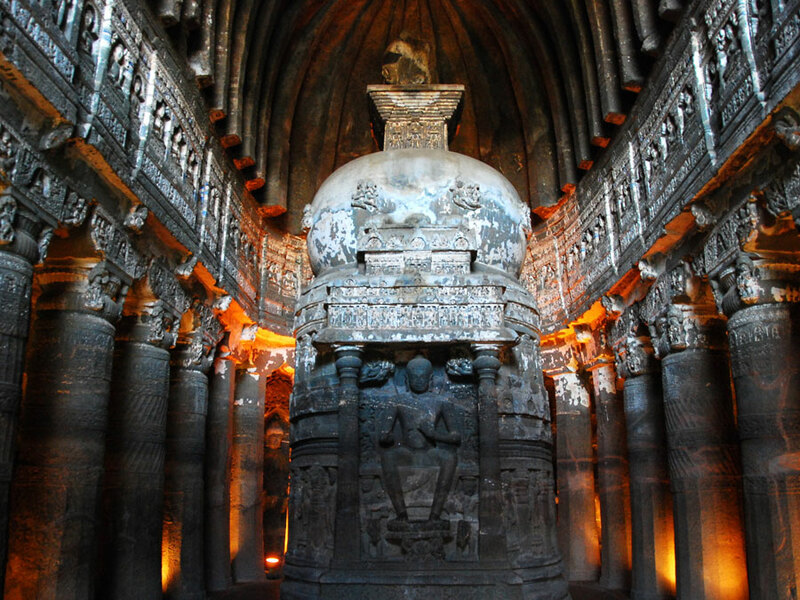 Ajanta is one of the few historical and architectural marvels of India. Recognized as the World Heritage site today, it was discovered during the 19th century by a group of British officers who were on a tiger hunt. The Ajanta group of caves, located deep within the Sahyadri hills above the Waghora, depicts the story of Buddhism that prevailed here during 200 BC to 650 AD. After visiting Ajanta Caves drive to (30 kms) Ellora Caves, one of the highly visited World heritage sites of India. 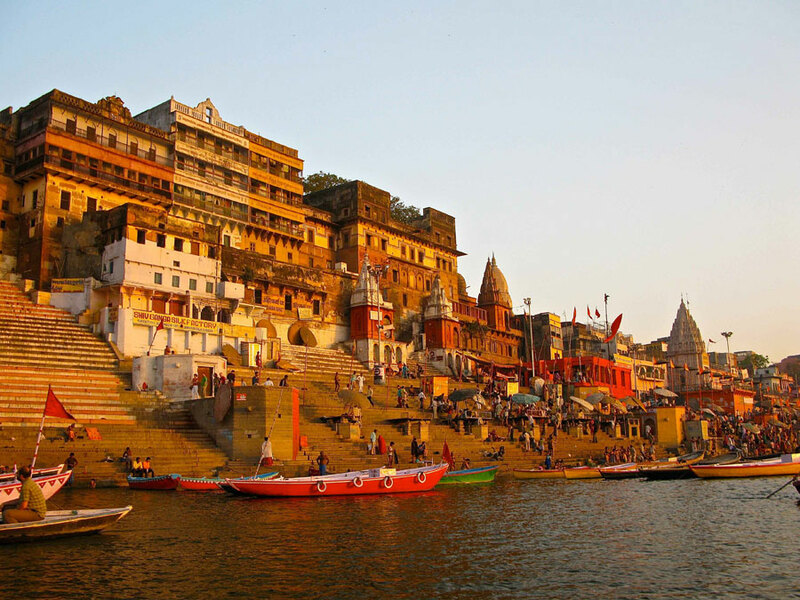 It houses 34 monasteries and temples with some exclusive uninterrupted sequence of monuments that date back from 600 to 1000 AD. 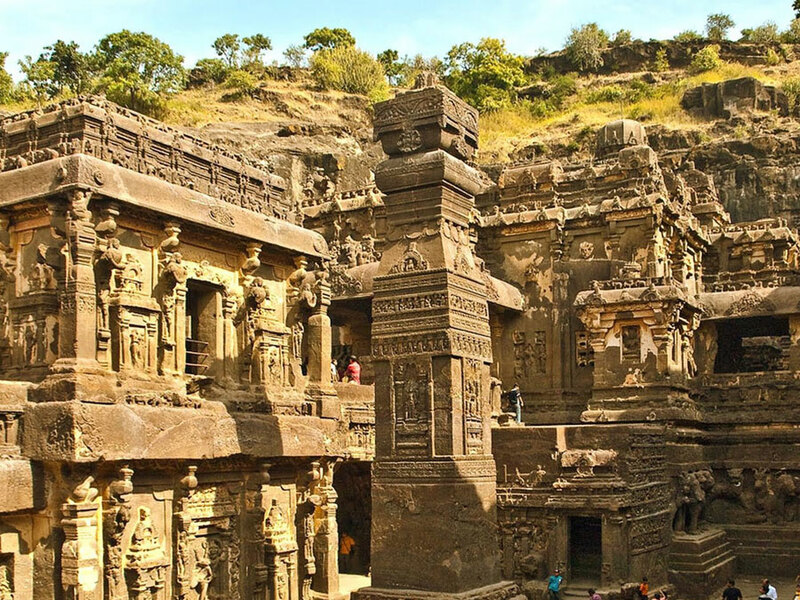 The temples of Ellora are dedicated to Brahmanism, Jainism, and Buddhism. It also has some of the excellent stonework depicting the legends related to Lord Shiva. After visit return back to the hotel for overnight stay. Note: The Ajanta Caves are closed to public on all Monday and Ellora caves on Tuesday. After breakfast check out the hotel and transfer to the Airport to board the morning flight for Mumbai. Assistance on arrival. You will have a complete day available to you to spend as per your own designed activities. Optionally you can have Lunch and dinner at choice of city restaurants. In time you will be transfer to International Airport for your scheduled flight back to home. On departure tour concludes with happy memories.